I am installing ceramic tile in my bathroom shower, I have removed everything to the studs, what should I install before the tile? -Tim Y.
Updating your bathroom is one of the best ways to increase the value of your home, not to mention increase your living experience. Designed and installed correctly, you can protect your home from mold growth and moisture damage. As in most home improvement projects, preparation is the key. There are many underlayment products in the market and educating yourself can save you money and time. 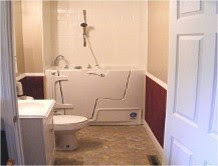 Installing ceramic tile over “green” drywall has been recommended throughout the years. This is not to be confused with “green sustainable” products, but green as in the color. This drywall is moisture-resistant. I do not recommend it, because if you were to submerse it in a pail of water for a day, it would be destroyed. However the following products would not. The most commonly used cement boards are known as DUROCK and HardieBacker cement board, which is impervious to water. Installation can be slightly more challenging because they require special fasteners and cutting blades, but the benefits far out way the cost of the extra tools. In my experience, I recommend HardiBacker board because it is easier to cut, fit and install. Remember to pre-drill holes before fastening to the wall with moisture resistant screws. Before installing the board, attach a waterproof membrane over the studs and under the board. This will protect the wood in case of water penetration. If the water were to seep through the tile and cement board, it would run down the membrane, keeping the wood dry and free from water damage and mold. Don’t forget to create a seamless area after installing the cement board by taping all seams with joint tape. Making your bathtub a masterpiece will take a little time and special attention, but the years of enjoyment of your “Work of Art” can be priceless. HandyPro Handyman Service is a growing company that celebrated their grand opening in Kansas City in January, 2013. HandyPro has been in business since 1996, providing home repair, remodeling and additions, commercial building repair and maintenance service in over 1600 categories, including drywall repair, painting, plumbing and anything on the homeowner’s to-do list. They also specialize in home modification for seniors and physically challenged to allow them to remain living in their homes and lead productive lives. 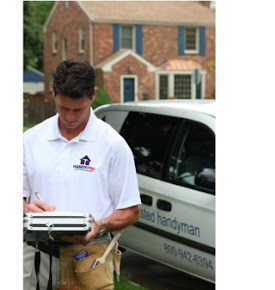 HandyPro of Kansas City is well-known for their friendly home repair contractors who listen to their customer’s needs and perform quality handyman service at an affordable price. They offer free estimates and give a one hour appointment time frame. The local handyman is licensed and insured and all work is guaranteed for one year. 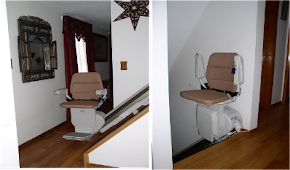 HandyPro service technicians are well-respected for their professional workmanship and they always leave their work area clean when finished.